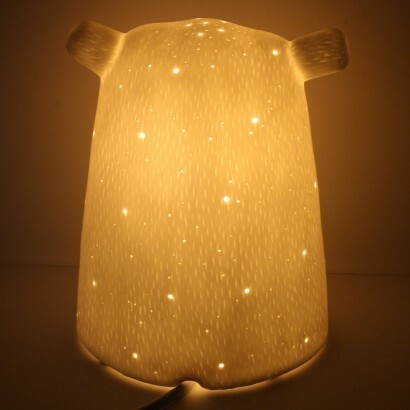 An adorable snow bear to keep little ones company at night, this sweet lamp is made from white porcelain with delicate pin point detailing that allows the light to shine through for a warm and cosy glow. 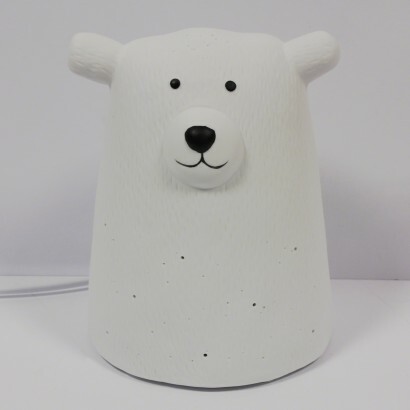 At 17cm tall, this cute bear lamp is ideally sized for kids rooms and the neutral white design fits in with most bedroom and nursery colour schemes. 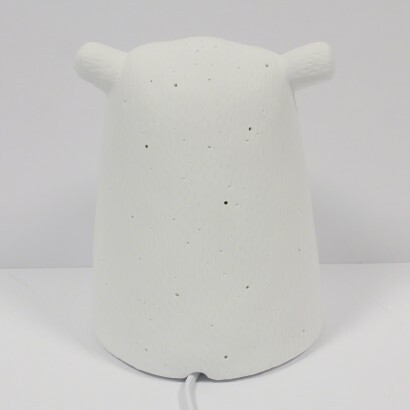 Mains operated with an online switch for easy on/off function, this adorable snow bear lamp offers a cute and friendly face in the dark. 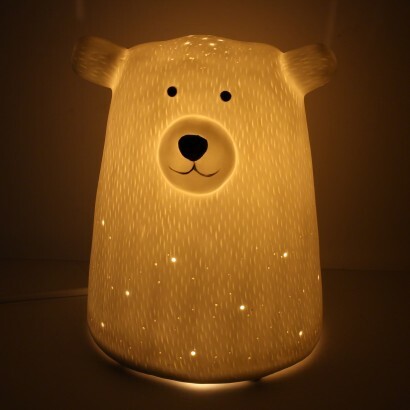 Our 13yr old granddaughter who loves polar bears was thrilled to bit with this bear light.